For 2019, the Ignis gets some more safety tech across the range and roof rails (on higher variants only) but remains unchanged mechanically. 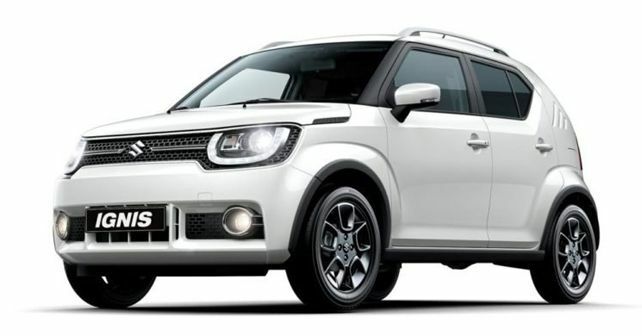 India's largest carmaker Maruti Suzuki has updated its compact hatchback Ignis for 2019. While there are no dimensional or mechanical changes, the 2019 Ignis gains a couple of new safety features. The list of added safety features includes a Reverse-Parking Assist, a seatbelt reminder and also a high-speed alert system. These safety features, in any case, are a part of the list which will become mandatory for all new cars sold in India from April 2019. The remaining safety tech, like dual front airbags, ABS and EBD, seat belt pre-tensioners and ISOFIX child seat mounts are already available on the Ignis as standard equipment, ever since its launch. Maruti Suzuki also claims that the Ignis has already passed the frontal offset and side-impact crash tests successfully, making it ready for the future. To add visual appeal, the Zeta and Alpha variants now come with roof rails. The Ignis continues to be powered by Maruti's 1.2-litre VVT petrol motor, which develops 82bhp and 113nm of torque. Except for the base Sigma variant, all other variants of the Ignis (Delta, Zeta and Alpha) are available with either a 5-speed manual transmission or a 5-speed AMT gearbox.